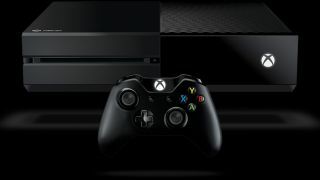 Xbox One gets welcome bitstream audio update | What Hi-Fi? A major update now means the Xbox One's Blu-ray player can decode audio natively. Which is a major boon for anyone watching Blu-rays through their console. The Xbox One's Blu-ray player just received a rather nice update, improving its audio output no end. It now supports bitstream passthrough, which lets your receiver decode audio natively. It supports all bitstream formats, including more recent ones like Dolby Atmos and DTS:X. Which should improve your audio experience considerably. Dolby Atmos is a surround-sound technology that makes the listening experience more immersive. It was first used by Hollywood and in selected cinemas, but is now trickling down to consumer products like LG's latest OLED TVs and BT Sport as well as multi-channel receivers. It's also on the way to Sky Q.
DTS:X, meanwhile, is a rival way of enhancing surround-sound. Unlike Dolby Atmos, it started in home cinema kit and then spread to cinemas. According to Microsoft, the feature will come to the Xbox next week. Other improvements in the update include a new look and feel for the Home section, a slicker, more intuitive Guide, new ways to multitask and a simpler way to stream gameplay from your Xbox One.